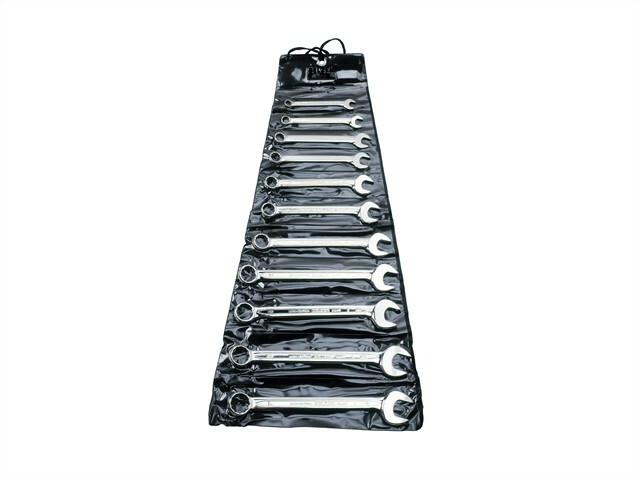 The spanners in this 11 piece Bahco Combination Spanner Set are made from Vanadium extra with a matt finish. They have an open-end angle 15°, Ring end 15° offset and equal openings at both ends. Conforms to DIN 3113/ISO 3318/ISO 7738 standards. Sizes; 8, 9, 10, 11, 12, 13, 14, 15, 17, 19 & 22mm. The spanners are supplied in a black plastic pouch.